Out of 10 people who go to work every day, not everybody enters the office door with the same pleasant smile and zeal to work. Right? Everybody will have his or her own stresses at work. 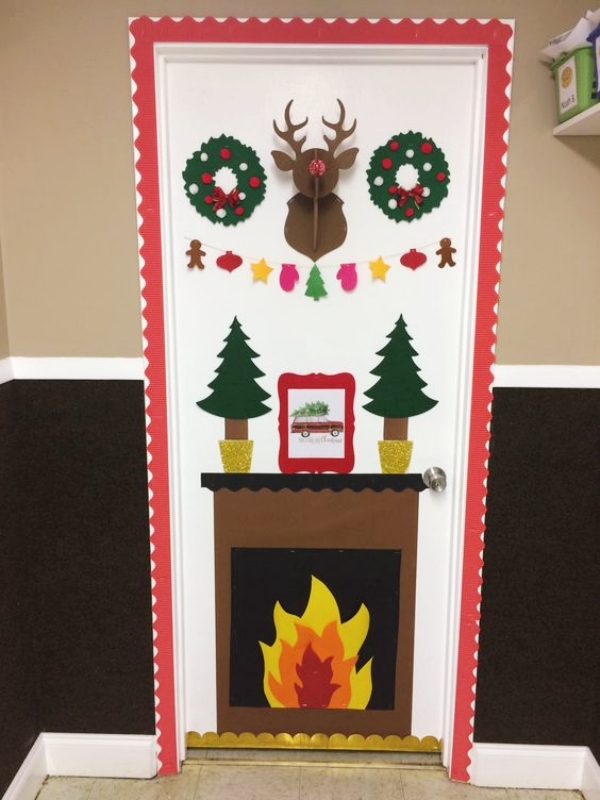 But how about giving all the employees a warm welcome each time they enter the office door & when these Smart Office Door Decoration Ideas are so easy DIY? 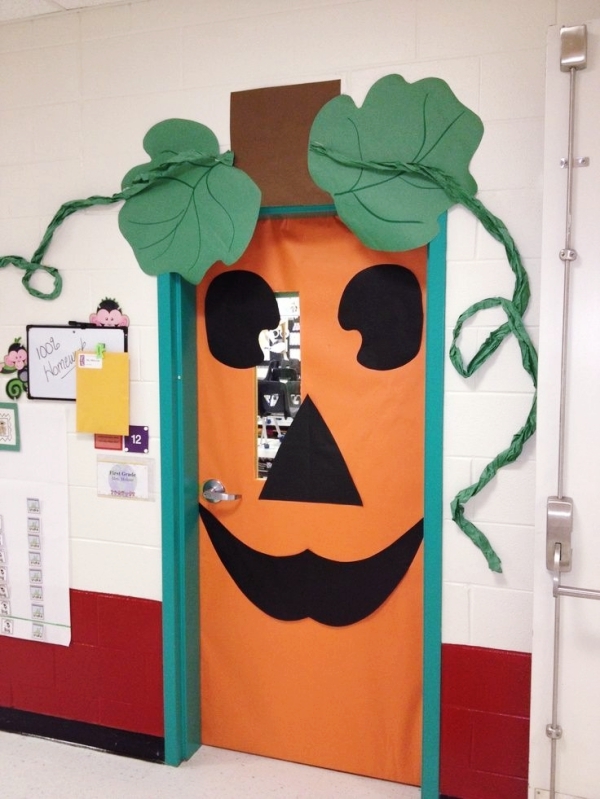 The office door is a very important part of the office – because that is where people will walk in and bring in those positive or negative vibes into the work place. Now, it is up to you – do you want all positivity or you want people to bring in whatever they can? 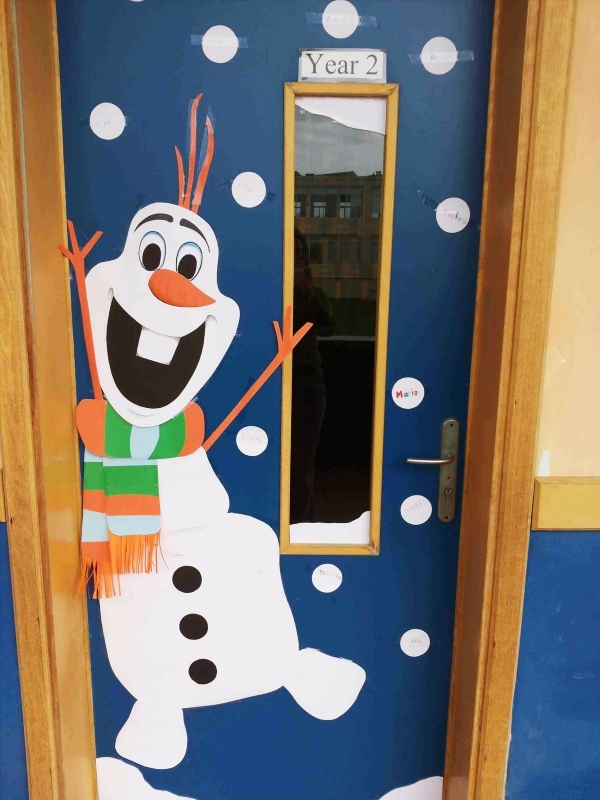 To spread some happiness, joy and creativity (and graffiti) all over, why not have some super cool office door decoration? While every day is a new day, we have divided all the 365 days into some major themes that people tend to follow. 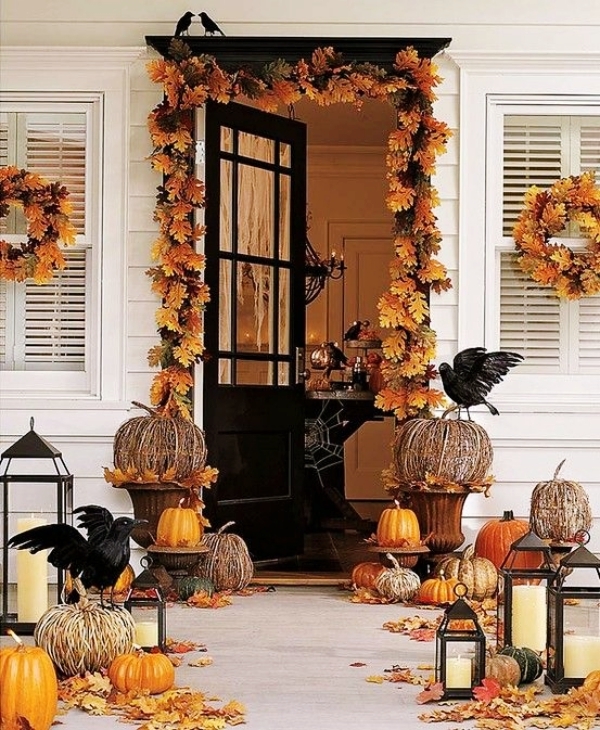 Thinking of a nice theme that connects with the changing seasons will pull out the most unique and all time updates office inspirations. 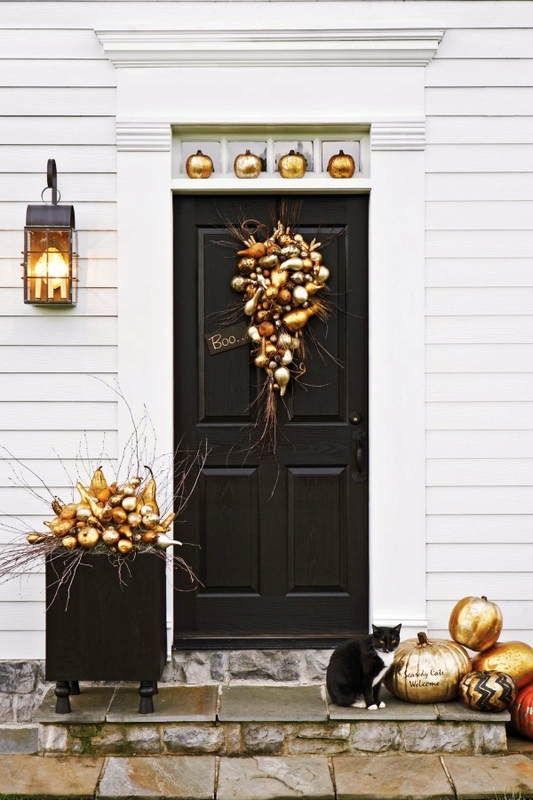 Falls, summers, autumns and winters – we all know the major 4 seasons that come and go. From our wardrobes to our hairstyles, everything depends a lot on the ongoing season isn’t it? 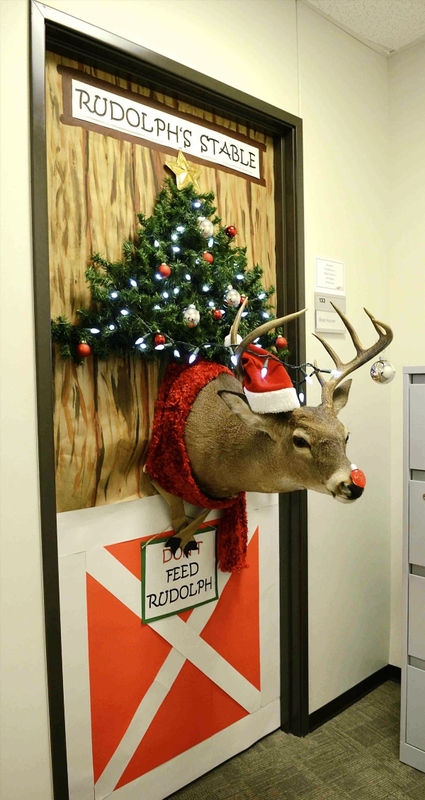 Now, why not let your employees also feel the joy of the season? 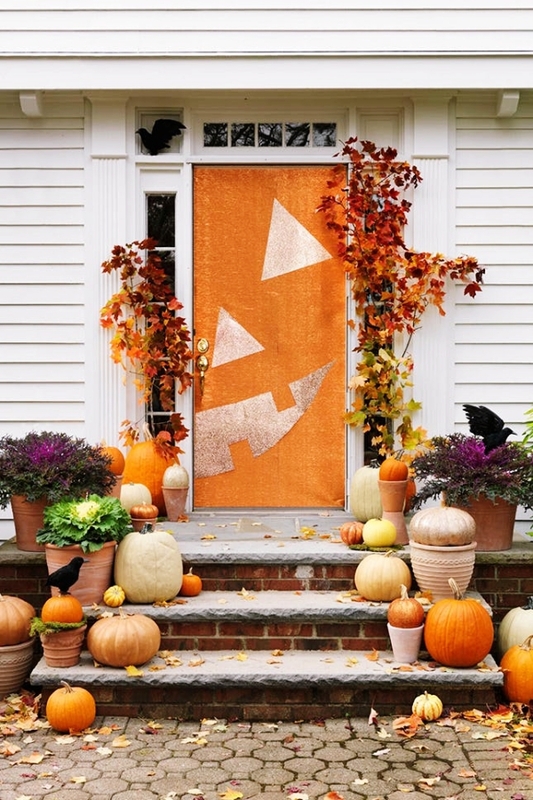 Take inspiration from some of the below ideas based on seasons. 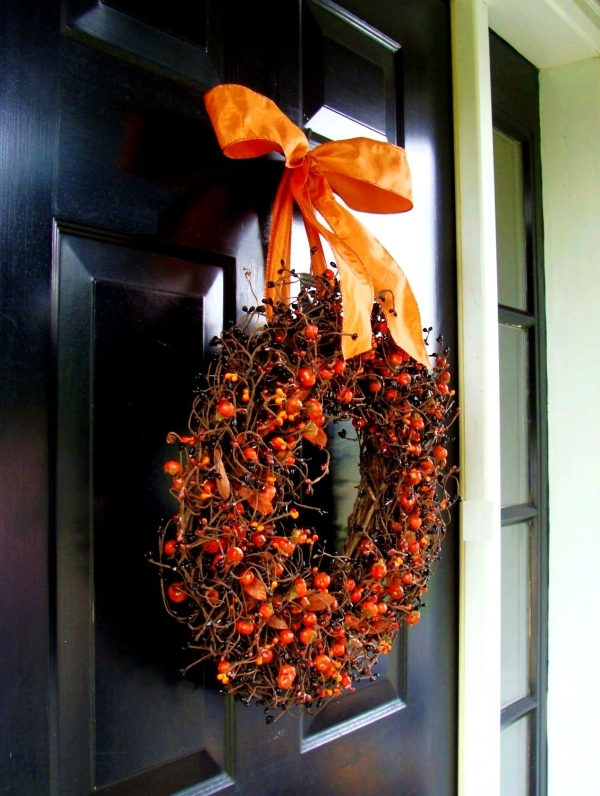 Flower wreaths for autumn – You can decorate the door with the classic orange and green wreaths or you can choose to experiment with these too. 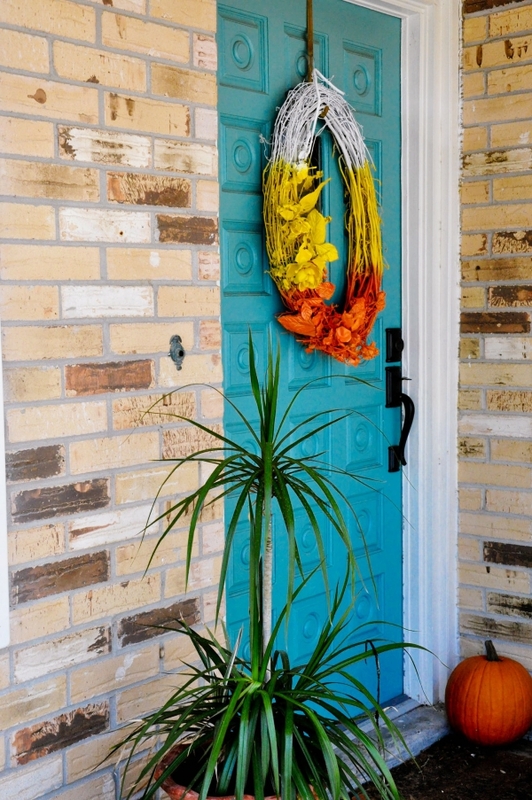 Use all the bright autumn colors to make this decoration. 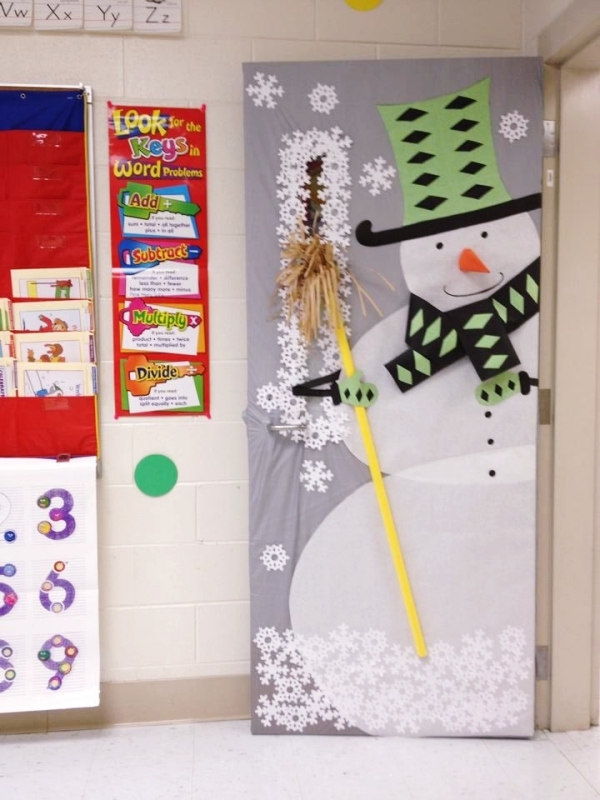 The scarf and jacket holder decoration – To let people realize the dropped temperatures every single time they enter through the office door, make a dummy scarf and jacket holder on the office door. A look of the beach on the door – Surfing, sun bathing and beach rides – aren’t these some of the best things we enjoy about summers? 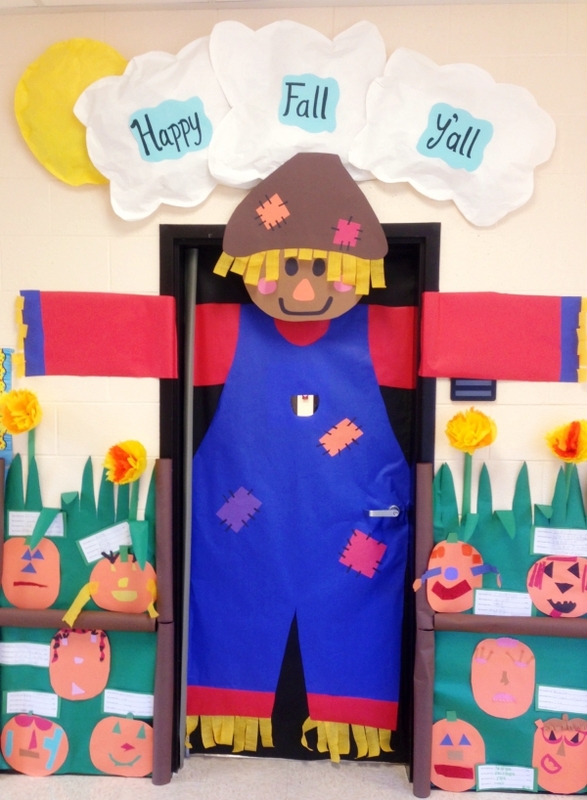 Why not have them depicted on your office doors? 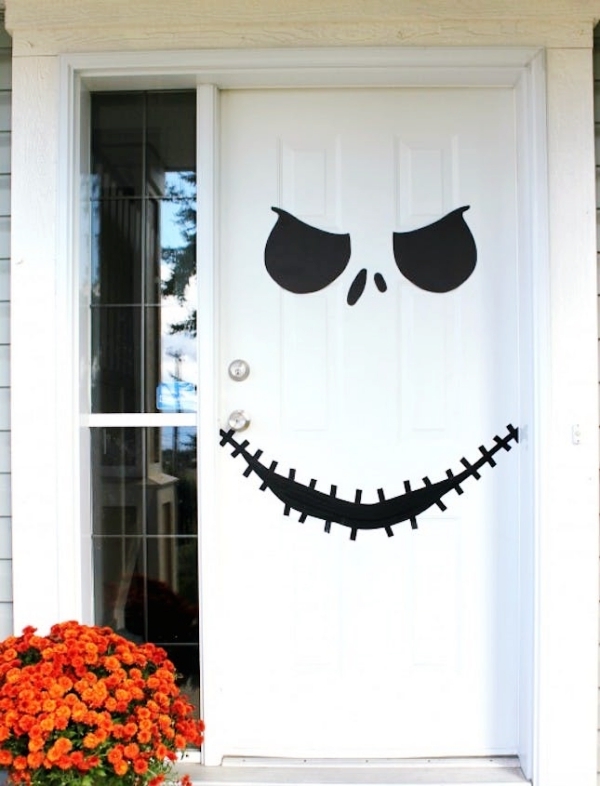 Have them as cut out stuck on the doors or you can even go a mile extra and paint them temporarily. Is there an end to having festivities and parties? 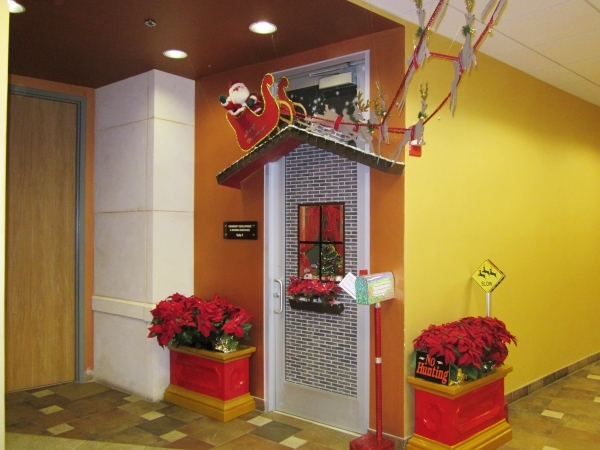 Be it Halloween, Thanksgiving, Christmas, New Year or personal occasions, there is no end to happy days. 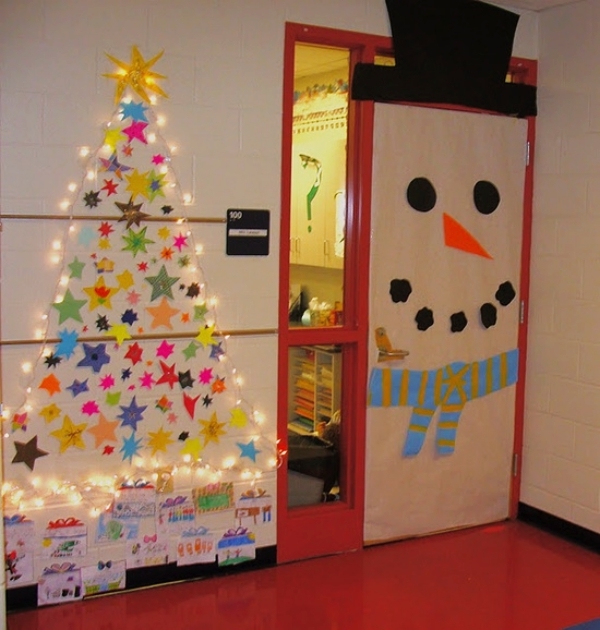 Why not decorate the office door accordingly; here are some helping ideas for you. This is another theme that you can opt for. 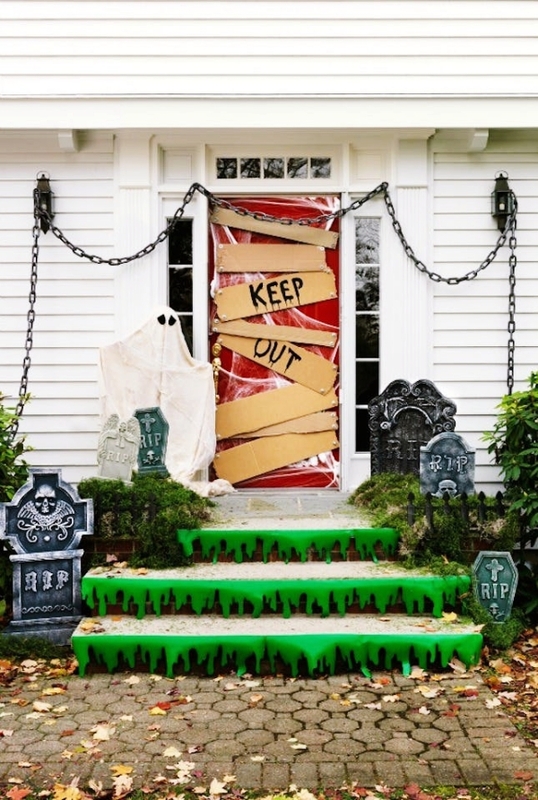 If you do not want to choose those fancy door decorations and stick to some office-approved decorations, then go on and try these inspirations. 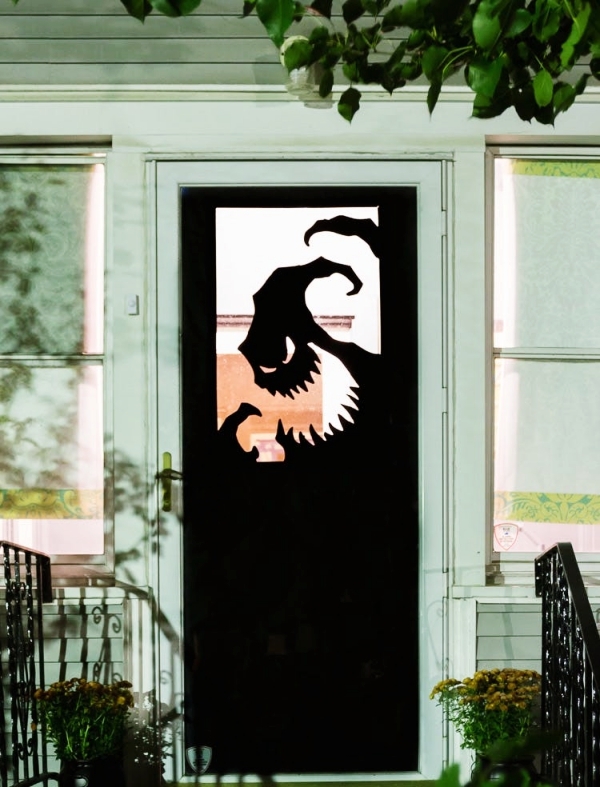 Have dragons, devils and all other spooky characters cut out on your door. 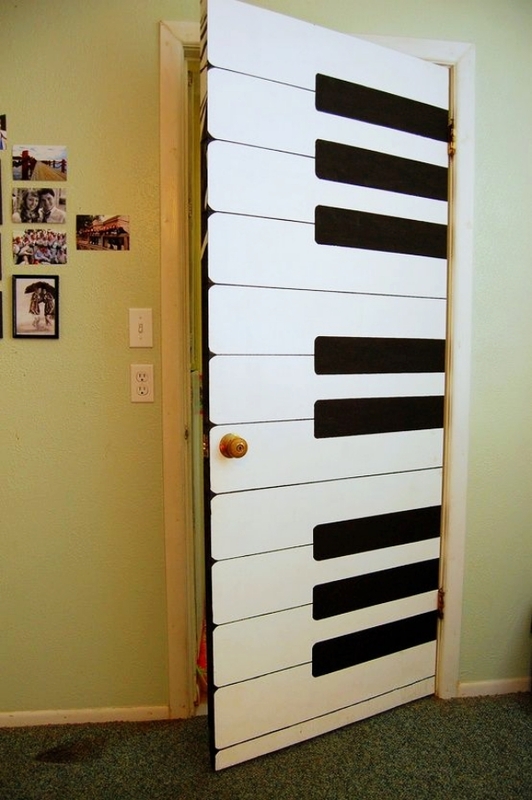 You can also have them made with cardboard and put it up on the door temporarily. 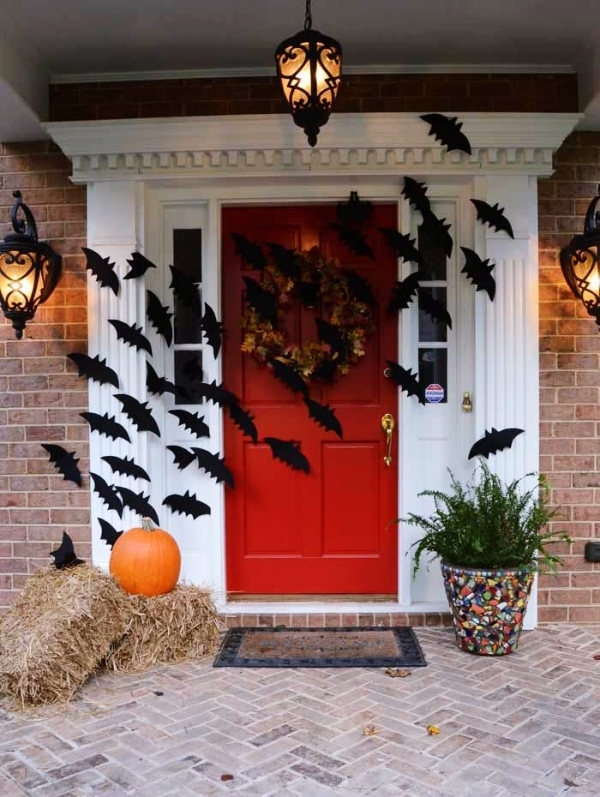 Here comes the Halloween and fresh ideas to decorate your spaces. 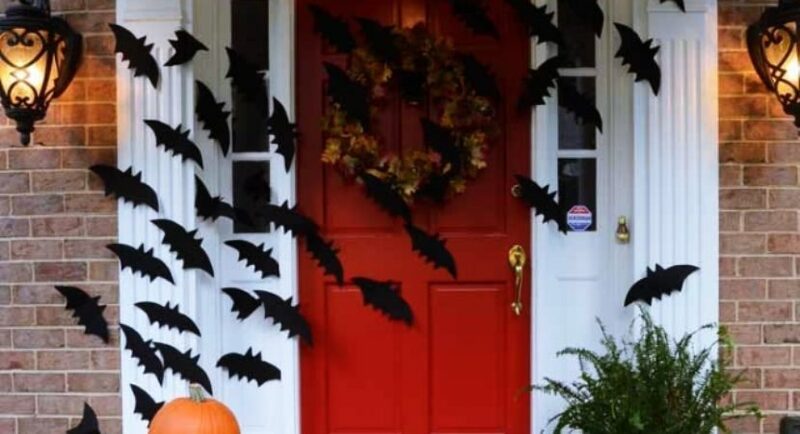 Have black chart papers cut out in the shape of bats and stick them randomly on the door. You can make this with cotton or thermocol. 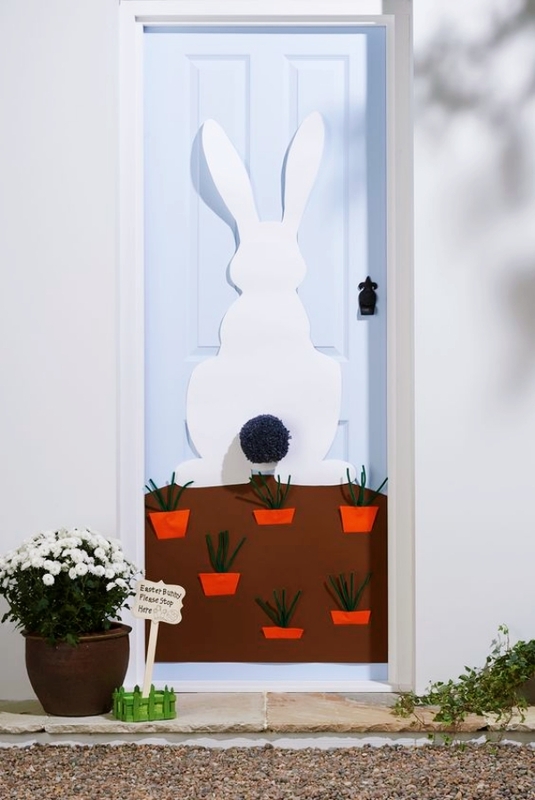 Or make it in the shape of a wreath and let it hang on the door and let people spread the joy of Easter with such cute and creative easter decorating ideas. Can anything get better than this? 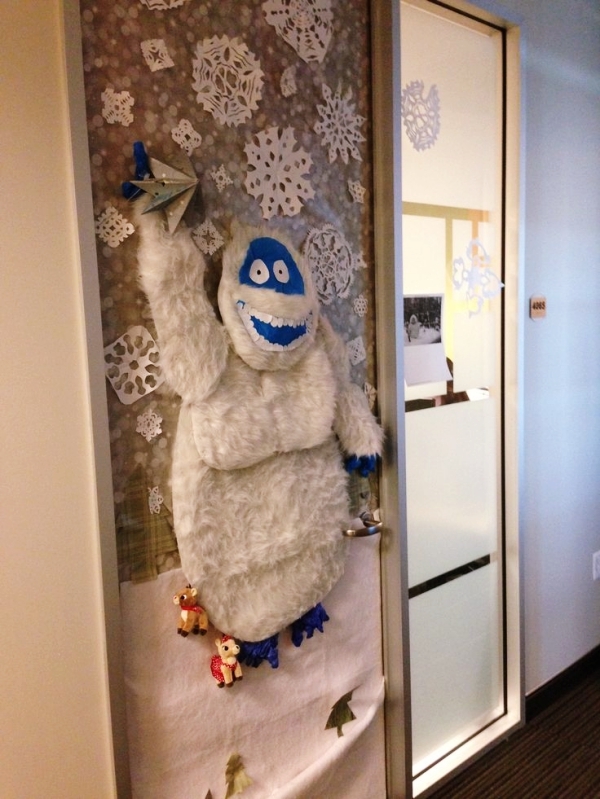 Let it snow everywhere, even in the office. 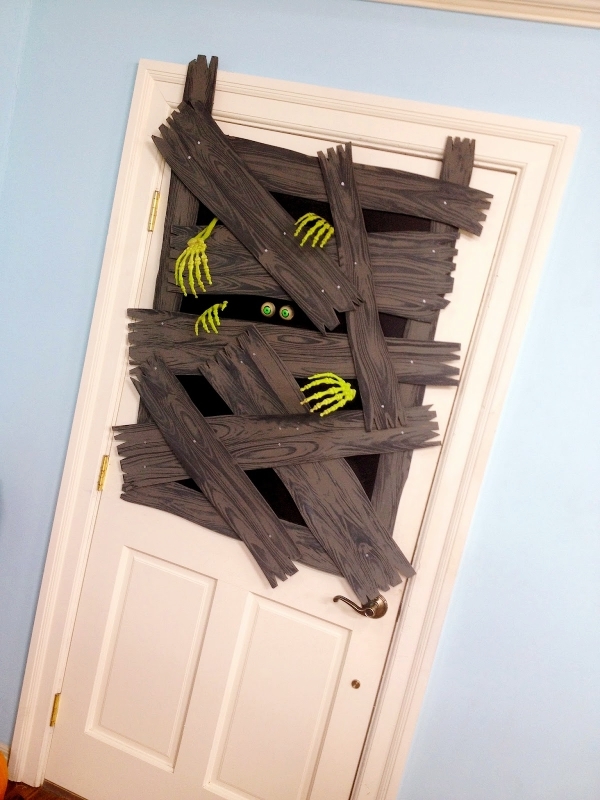 This is the easiest decoration idea as you will just need cotton and glue and see the surprise on your employees face the next day morning. 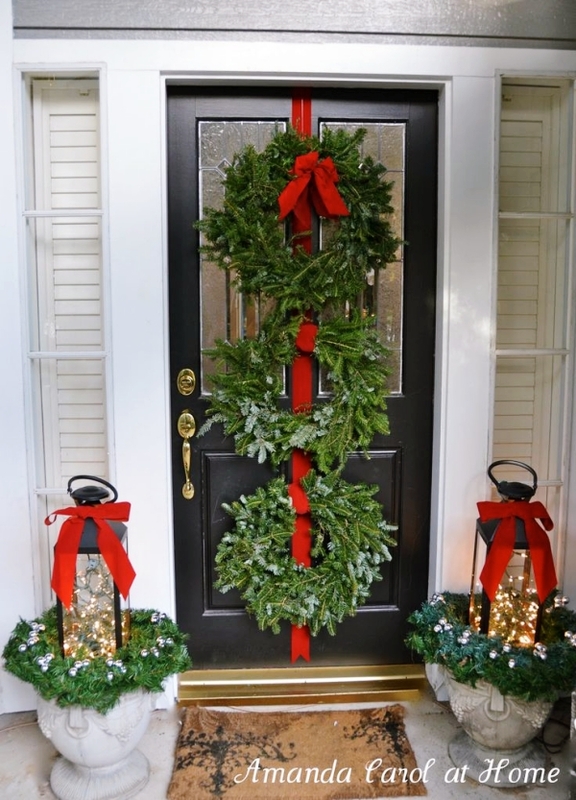 The easiest decoration idea is when you have to think by some festive theme and Christmas being the favo deserves a bit more special something. 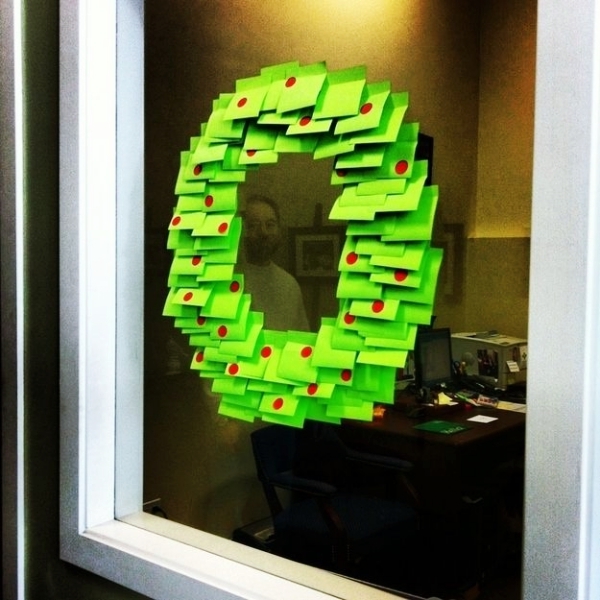 Put up lots of colorful stick notes on the door. You can let them be as is, without any use as a decoration or invite your employees to use it to write down their day’s mood on it… Isn’t it a great idea to bring in lot of fun at work? 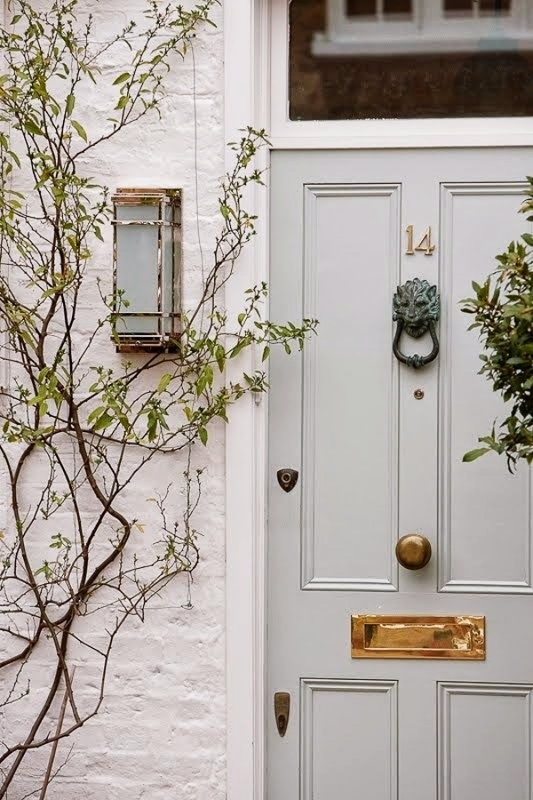 If you are looking for something permanent, then why not choose some bright colors and get the door painted in asymmetrical patterns? 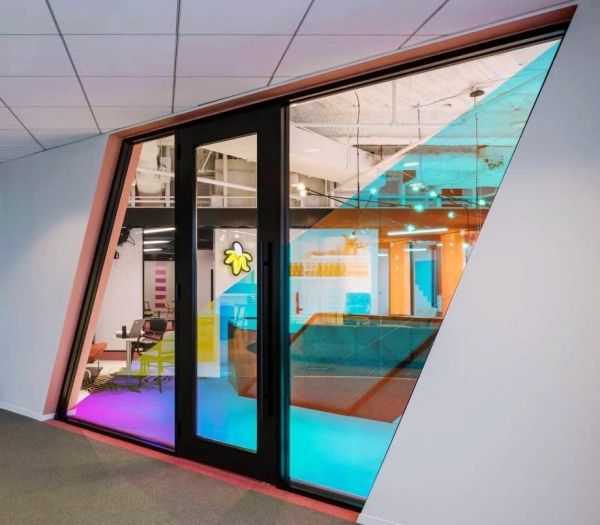 If your office interiors are painted too, then do not use those same colors… Opt for colors like green, blue, yellow.. They tend to be subtle and bring about lot of positivity. 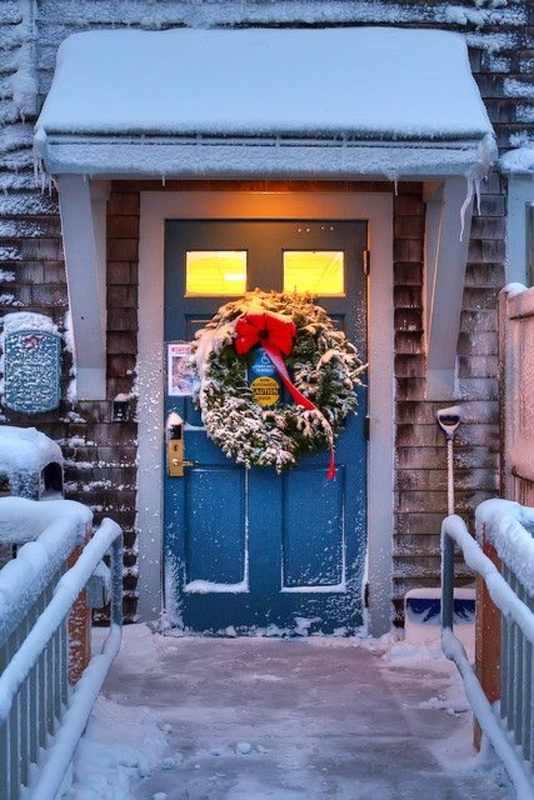 Why not have a small wooden box put up on the office door and replace it with fresh flowers every day? Try this out, because flowers can never fail to bring about a smile on any person’s face. 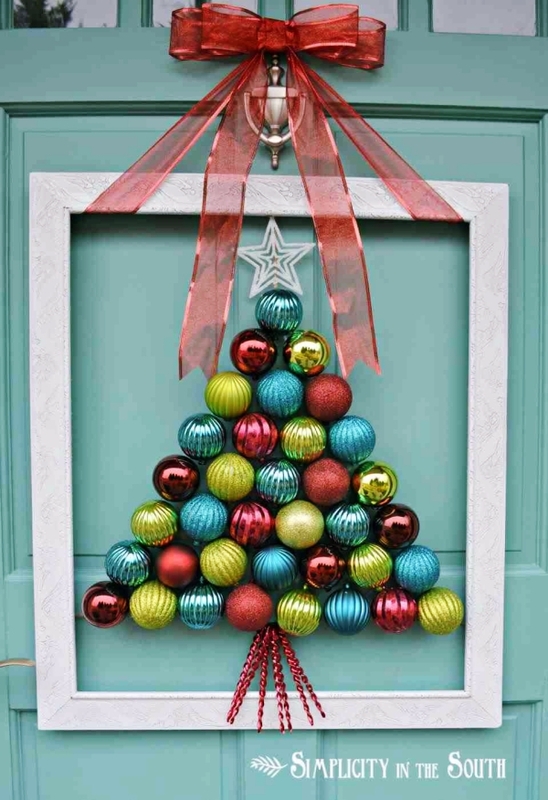 Get a wooden colorful letterbox and hang it on the front door of the office. Now, this will serve dual purposes – it will add as an awesome decoration idea and it will also avoid all kinds of distractions. The courier will be put in that box, and people can collect it at the end of the day. You know the best part about these? 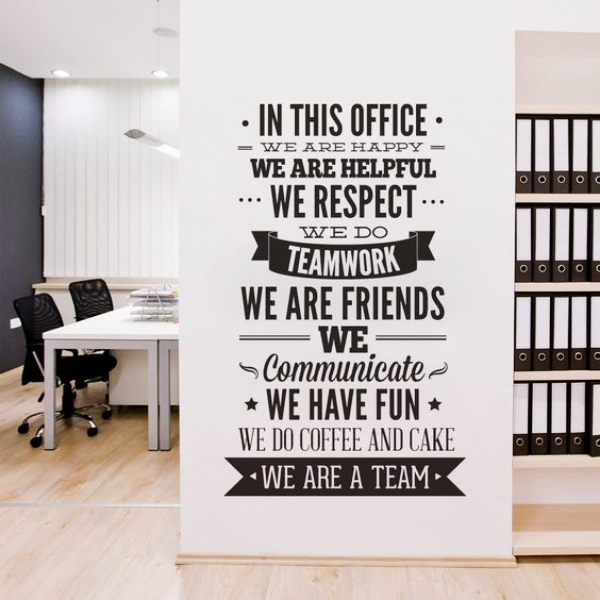 You can invest in great teamwork; by having these ideas implemented by the team members it!